2 Fat Nerds - Weigh-In Wednesday September 18th: Sore Trapezius! Weigh-In Wednesday September 18th: Sore Trapezius! Home/Health, Weigh-in Wednesday/Weigh-In Wednesday September 18th: Sore Trapezius! 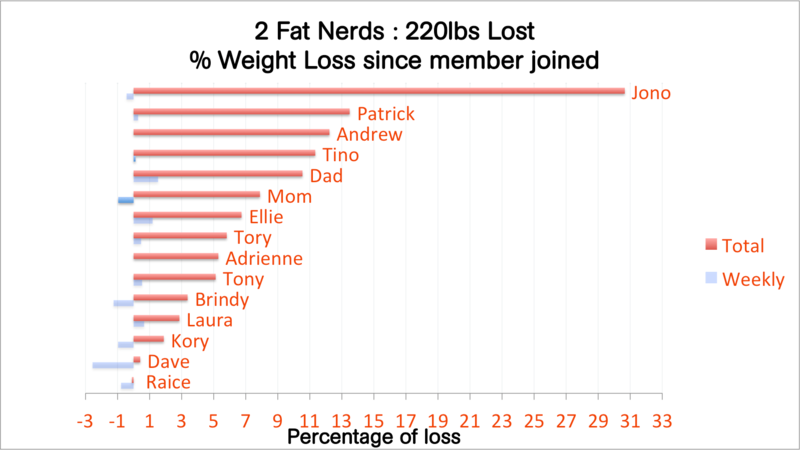 Here at 2 Fat Nerds each Wednesday is a Weigh-In day, where all of the data from the previous week is collected, displayed, and analyzed. Let’s dive into the numbers! Please leave a comment with your updated measurements! If you want them to be kept private for any reason, leave a comment and i’ll make arrangements! Total Squats within a one minute window. 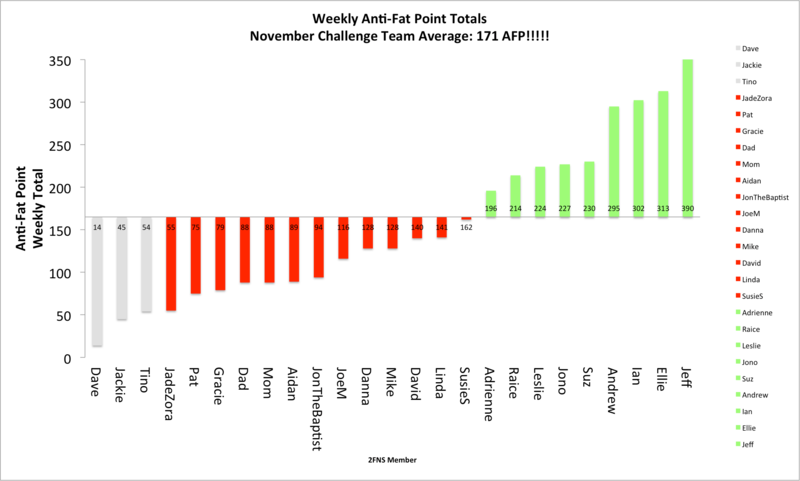 Anti-fat points (AFP) is a system designed to give some sort of value to each and every workout, regardless of type. It is based on metabolic-equivalent values out of the compendium of physical activities. Submit a workout, get AFP. Each week we post the totals for each person for the week. In addition, you may see the monthly AFP leaderboard on the right-hand sidebar. This is meant to be a fun way to encourage competition to see who can earn the most points! Time to be serious about my long term health. Today restarts calorie counting rather than just limiting portions most of the time. Added sugar and anything that doesn’t help me diet has been ruled out, although there will be pie for Thanksgiving and cookies for Christmas. I’m aiming for 0.8lb/week. Past data shows that 1lb/week was unrealistic for me, but this still gives me a goal to stretch for beyond 0.5lb/week last time. This would put me at my goal for March 5th, or at the fallback rate May 14th. 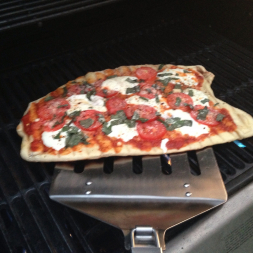 I think 0.5 – 0.8lbs is a great goal. I realized very early on that my expectations of a pound, or even two pounds when I first started was simply unattainable. All of those weight-loss magazines give completely unrealistic ideas of healthy weight-loss . . . and I think even though we know that it isn’t realistic, subconsciously we are let down when we don’t attain their benchmarks. I think you’ll do great, and hit your mark! Don’t get discouraged when you hit plateaus, the barriers will always fall down with enough persistence. Update: Chin-up: 12 w/ 64 lbs. assisted. I still have to do the other exercises, though. 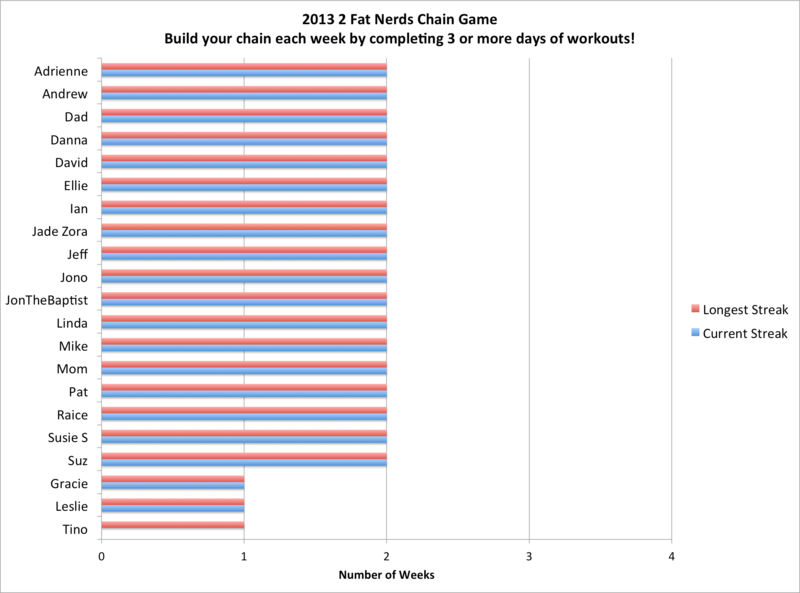 uh, Plank- 1:35, pushups 25, squats 45 no pull ups this week. my bad.